Fire-fighters are backing a national safety campaign, running throughout February, which aims to encourage people to take extra care in the kitchen. 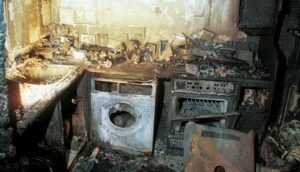 More than half of all accidental house fires in England are caused by mishaps involving cookers, grills, ovens and microwaves. 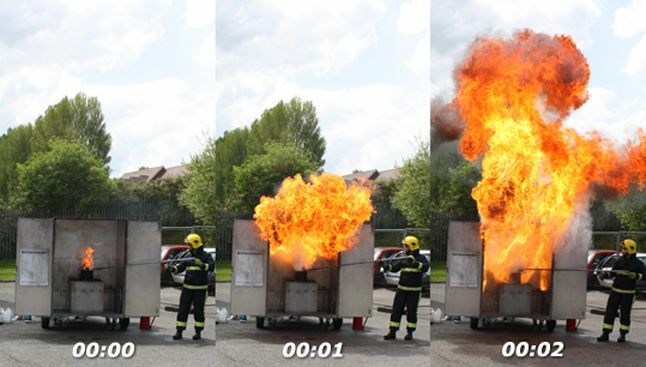 Last year, Buckinghamshire Fire & Rescue Service attended 238 fires which started in kitchens (137 in Buckinghamshire and 101 in Milton Keynes). In January 2016, firefighters attended 18 kitchen fires (11 in Buckinghamshire and seven in Milton Keynes), carrying out four rescues. Six people suffered smoke smoke inhalation and four from burns. Don’t start cooking if you are tired or have been drinking alcohol. Keep the oven, hob, grill and toaster clean and in good working order. A build-up of fat, grease or crumbs can lead to a fire. Double-check the cooker is off when you have finished cooking. Don’t leave children in the kitchen alone when cooking on the hob. Keep matches, lighters and saucepan handles out of their reach. Keep electrical leads, tea towels, dishcloths and other items which could catch fire away from the cooker or hob. Don’t treat your hob as an extension of the kitchen worksurface. Items such as laundry and shopping should not be placed on it. If you need to leave the kitchen while cooking, take pans off the heat or turn the heat right down to avoid risk. Don’t put anything metal in your microwave oven, and please take care when setting the timer. Carry out regular checks on your smoke alarms by pushing the “test” buttons. If you don’t have smoke alarms, ring Buckinghamshire Fire & Rescue Service on 01296 744477 or send an email to cs@bucksfire.gov.uk to book a free Home Fire Risk Check.